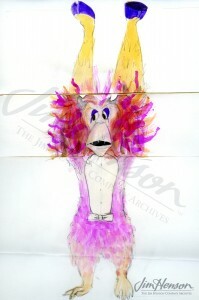 There is a lot of magic and illusion in puppetry. 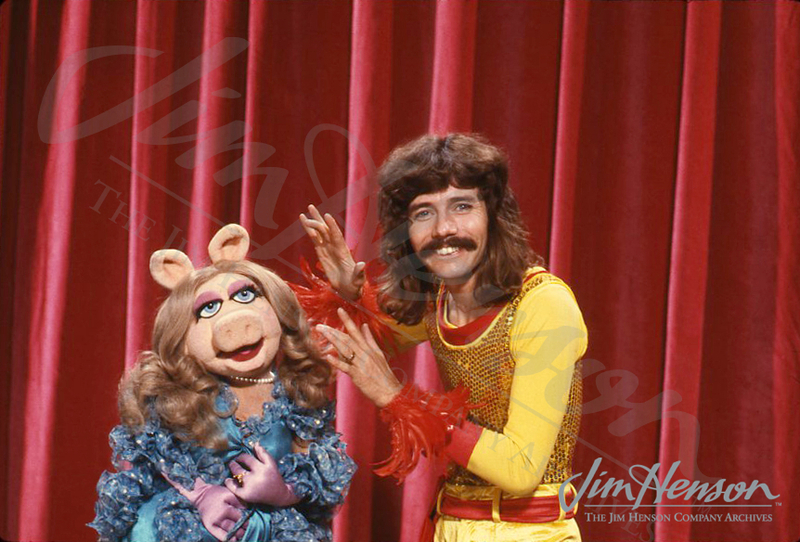 When asked about his experience as guest star on Season 4 of The Muppet Show, popular magician Doug Henning explained, “I think magic is all about the suspension of disbelief, the creation of wonder. Your audience must believe the illusion is true, and to my mind that’s also true of the Muppets. This show is about the creation of wonder and I certainly believe the Muppets are real characters.” Having studied the psychology of perception at McMaster University and been involved in consciousness expansion through Transcendental Meditation, he and Jim would have has much to talk about between takes. In the early 1970s, Henning was one of the first magicians to create a Broadway Show version of his act, adding a musical dimension. 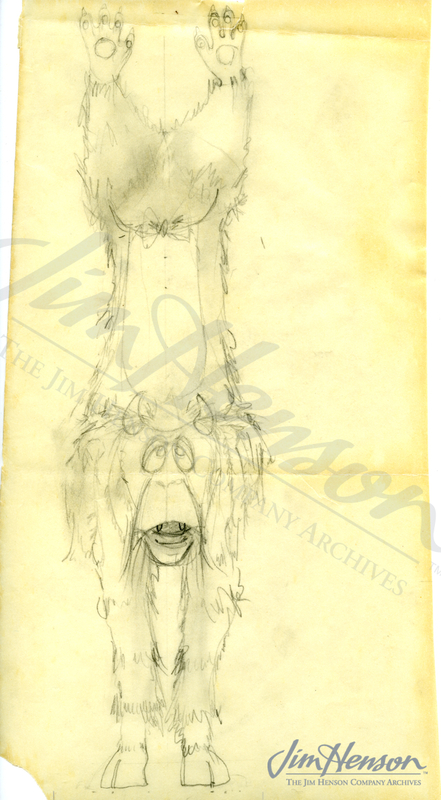 Given that Jim had been pursuing a similar arena for his Muppets at the same time, he would have been interested in Henning’s experience. Above all, having a magician on the show gave Fozzie an opportunity to try magic too, producing a surfeit of rabbits from his hat. 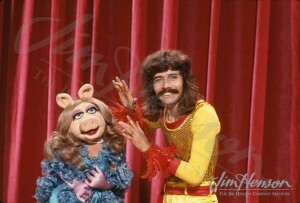 Doug Henning and Miss Piggy on The Muppet Show, 1980. 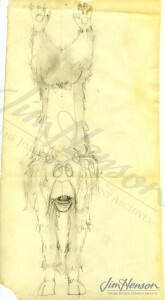 Monster designed by Tim Miller for the Doug Henning Muppet Show episode. 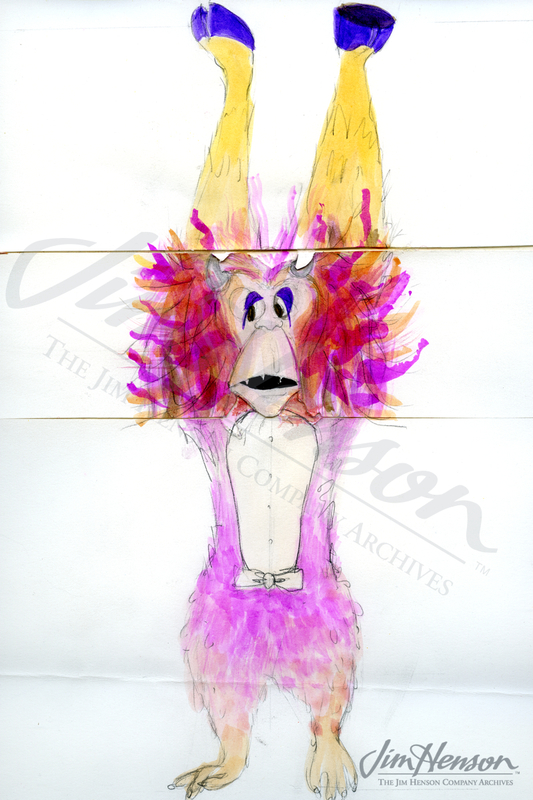 This entry was posted in 02-February '80, 1980, Muppet Show and tagged Doug Henning, Fozzie. Bookmark the permalink.